WALLPAPER is a kind of material used to cover and decorate the interior walls of homes, offices, and other buildings; it is one aspect of interior decoration. It is usually sold in rolls and is put onto a wall using wallpaper paste. 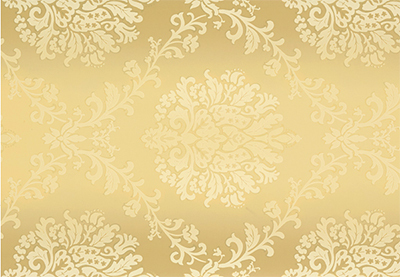 Wallpapers can come plain as "lining paper" (so that it can be painted or used to help cover uneven surfaces and minor wall defects thus giving a better surface), textured (such as Anaglypta), with a regular repeating pattern design, or, much less commonly today, with a single non-repeating large design carried over a set of sheets. 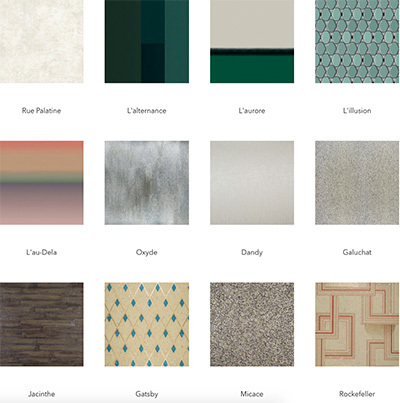 3666 wallpaper Stories - houzz. 795.829 wallpapers for home decoration - houzz. Arts & Crafts movement - was an international movement in the decorative and fine arts that began in Britain and flourished in Europe and North America between about 1880 and 1920, emerging in Japan in the 1920s. It stood for traditional craftsmanship using simple forms, and often used medieval, romantic, or folk styles of decoration. Decorate your walls with this stunning painting of Mars - The Verge. Faux painting - used to describe decorative paint finishes that replicate the appearance of materials such as marble, wood or stone. German Wallpaper Museum - founded in 1923. 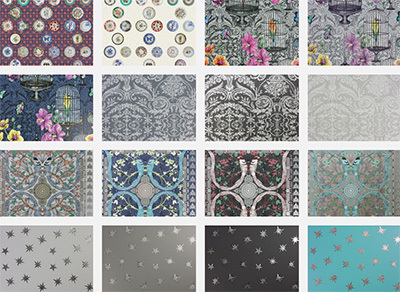 Consisting of about 23,000 objects, the collection traces the development of wallpapers from the Early Modern Age to the present day. Its showpieces include gilt-leather specimens from the Renaissance, Baroque and Rococo eras as well as flocked and canvas wallpapers of the 18th century. Hessian State Museum, Brüder-Grimm-Platz 5, 34117 Kassel, Germany. HOW TO CHOOSE THE PERFECT WALLPAPER - Amara. Inside the establishment's wild wallpaper purveyor: 50 years of Osborne & Little - The Telegraph. LED wallpaper - is an expression encompassing a range of different technologies developed since the beginning of the 21st century, aimed at integrating light-emitting diodes into flat substrates suitable to be applied to walls for interior decoration purposes. StriÉ - popular form of faux painting using glaze and paint brushes to create a soft natural striped texture. 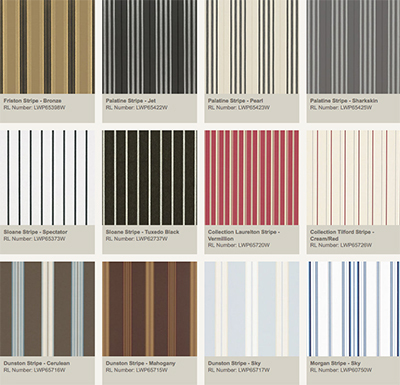 Wallcoverings - including house paint, plaster, wallpaper & wall upholstery. Wikipedia. 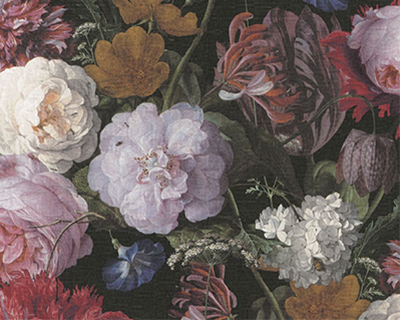 Wallpaper clue to Napoleon's death - The Telegraph. William Morris - (1834-1896). In 1861, Morris founded a decorative arts firm with Burne-Jones, Rossetti, Webb, and others designing tapestries, wallpaper, fabrics, furniture, and stained glass windows. In 1875, Morris assumed total control of the company, which was renamed Morris & Co.
Amara - since 2005. "Life - Style - Living." Designer wallpaper. Andrew Martin Wallpaper Showroom - since 1978. 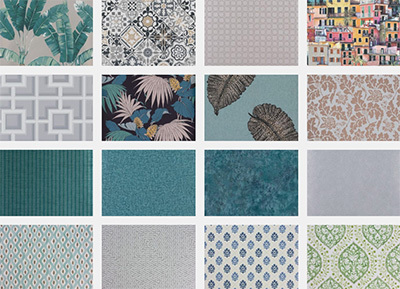 "View our inspiring wallpaper designs in just three easy steps or search for a specific wallpaper using our wallpaper filter." ANNA DOVE - since 2006. "Anna Dove produces strikingly beautiful printed and hand-painted wallpapers uniquely designed to alter the mood of your interior." ANNA FRENCH - "Anna French offers an array of bright and bold wallpapers that span over thirty years of artistic creation. The wallpaper designs of Anna French are a perfect mix of traditional with modern that create unique and eye-catching designs for interiors." Anthology - since 2014. "Described as ‘creative thinking for walls, the Anthology wallpaper collections are a unique offering of innovative and eclectic wallcoverings showcasing creative finishes, subtle textures and complex backgrounds. Designed to have an international appeal, these stunning papers combine the feeling of extreme luxury with the edginess of industrial chic." ARMANI / CASA - since 2000. "Exclusive Wallcoverings Collection." Precious fibers. Refined structures. ARTE - since 1981. 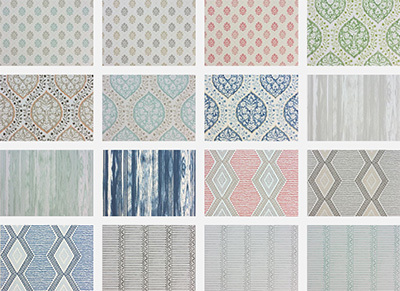 "Wallcoverings for the ultimate in refinement." Distributor of high quality and original wallpaper worldwide. Artemest - since 2015. "Italian Luxury Handmade Home Décor." Shop one-of-a-kind pieces. ASHLEY HICKS - since 2003. "Global lifestyle brand renowned for iconic, boundary pushing design. Following in his father David Hicks's footsteps." Baker Lifestyle Wallpapers - "Baker Lifestyle is a diffusion brand bringing a fresh, light touch to the classic GP & J Baker style. Their wallpaper designs are bold and original which produces collections of wallpapers that are unusual yet easily adaptable to suit any interior." Borderline - since 1995. "Incorporating Sally Baring Designs." boussac - since 1935. "Opening up new horizons." Calico - bespoke wallpaper. "Founded in New York in 2013, Calico Wallpaper represents the harmonization of a traditional decorative medium fused with technical innovation." Callidus Guild - since 1998. "Callidus Guild conceives, designs and installs surfaces and wallpapers for some of the world’s most illustrious clients (such as Chanel, Louis Vuitton, Dior and Tiffany & Co). Known for an elevated, one-of-a-kind aesthetic - which incorporates plasters, precious metals and handmade paints - each project is imagined from scratch and tailored to clients’ exacting directions." Christian Lacroix - since 1987. 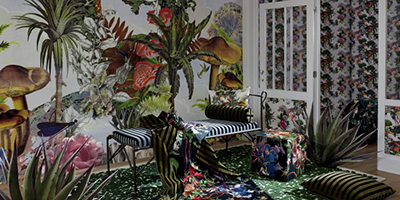 "The wallpaper designs by Christian Lacroix are inspired by gypsy and Provençal traditions and by the flamboyant Haute Couture scene in Paris and London during the swinging 60s." COLE & SON - "Manufacturers of fine printed wallpapers since 1875." A range of 1500 hand block printed wallpapers with designs dating back over 300 years. By appointment to the Queen. Colefax and Fowler - since 1933. All wallpaper brands. CUSTHOM - since 2009. "Custhom is a design practice whose focus is on experimenting and exploiting conventional methods of making and manufacture in order to find niche ways of producing our work. We design screen printed, block printed and embroidered papers, fabrics and ceramics, allowing technique to dictate aspects of our design and our material choices which influence how our collections evolve." DAVID HICKS - all collections. DESIGNERS GUILD - since 1970. "View our extensive range of Wallpaper." 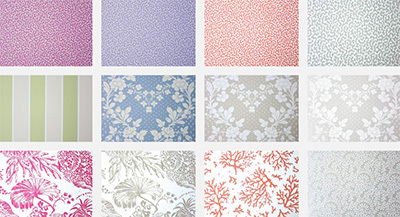 Designers Guild offers a huge array of printed, plain, almost plain and wonderfully textured wallpapers and wallcoverings. Eijffinger - since 1875. "Decorating the World." Find your perfect wallpaper! Eijffinger has continuously developed exclusive and surprising collections which provide a distinct and characteristic interior decoration for each individual. 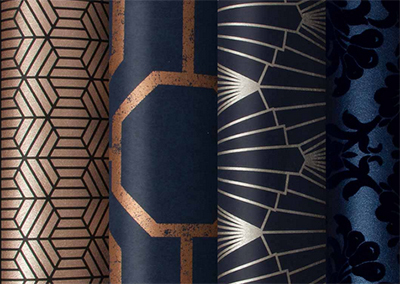 ERICA WAKERLY - "Metallic, geometric, and modern wallpapers." Launched in 2006, Erica Wakerly is an award winning British wallpaper designer. 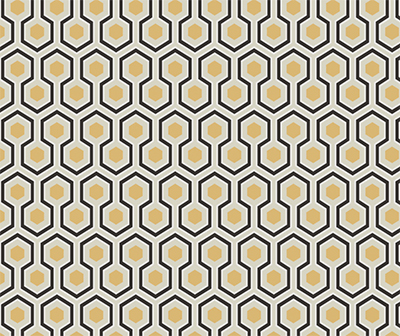 Erica Wakerly's collections of wallpapers include bold, modern geometric prints. Ferm Living - since 2006. "Decorate with beautiful wallpaper by ferm LIVING. Shop all the different graphic Wallpaper designs and prints online at our webshop." 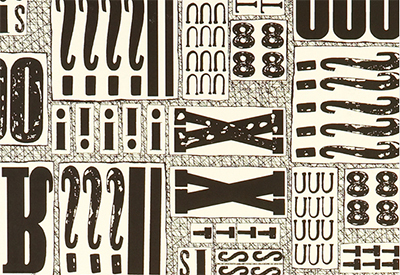 Fornasetti - since 1952. "These wallpapers incorporate elements from the Fornasetti archives used to make stunning large scale designs in a palette of useable colours ranging from reds and golds, to neutrals and blacks." Fox Linton - since 2004. "Textile Wallcoverings." Gorman Studios - since 1983. "Gorman Studios can create one-of-a-kind wall covering for any space." GRAHAM SANDERSON INTERIORS - since 1968. "We have 1000's of wonderful wallpaper designs to help you get the look you want." Hannah Nunn - "Wallpapers with dreamy meadows and leafy canopies. Perfect to complement your lamps." 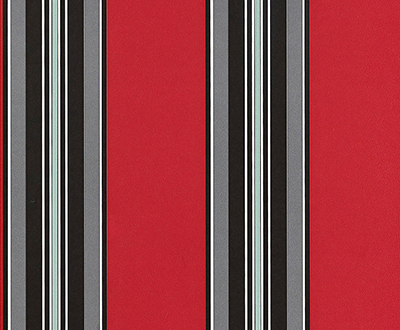 Harlequin - "Designer Wallpapers." Originally founded as a wallpaper company, Harlequin has embraced its heritage by producing breathtaking designer wallpapers in an all-encompassing selection of designs and textures. A master of the flamboyant statement wallpaper, Harlequin also specialises in imaginative finishes, visionary techniques and mouthwatering colours – guaranteed to make your walls a work of art in their own right! HermÈs - since 1837. 104 models. Hirshfield's Design Resources - since 1894. "Designer Wallpapers and Wallcoverings." HOLLAND & SHERRY - since 1836. Wallcoverings: Textured, Printed & Painted. ILIAS - since 2003. "Experimental textiles & wallpapers designed by Ilias Fotopoulos." Jannelli & Volpi - since 1961. "Fine Wallcoverings." Italian design. JOCELYN WARNER - since 1999. Produces big, bold graphic wallpaper. Jocelyn has influenced the resurgence of bold pattern and colour in interiors. Kit Miles - since 2011. Luxury wallpaper. Kravet - since 1918. "Kravet is the leading distributor of decorative fabrics and furnishings to the interior design community." LAURA ASHLEY - since 1953. "From simple stripes to sophisticated prints and soft palettes to rich colors, the Laura Ashley wallpaper collection features over 100 striking designs including our iconic floral patterns. Can't choose? Order up to eight FREE Samples to help you decide." LED Wallpaper - "LED wallpaper was pioneered by Meystyle in 2004. 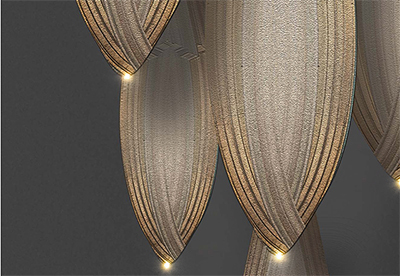 The LEDs are completely integrated into the wallpaper without adding any thickness to the material." Lorca - renowned for its elegant and luxurious aesthetic, and ravishing colour palette. 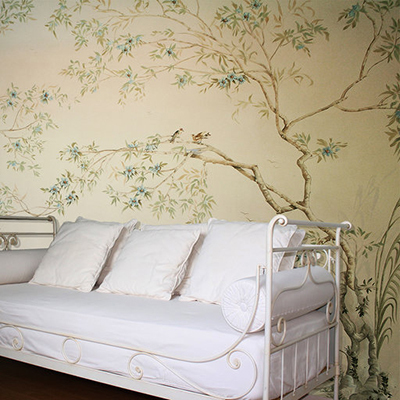 Lucinda Oakes - "Hand Painted Wallpapers." Meystyle LED wallpaper & Fabric - since 2004. London-based company who specialise in designing and manufacturing bespoke wallpaper with the added feature of integrated light-emitting diodes. 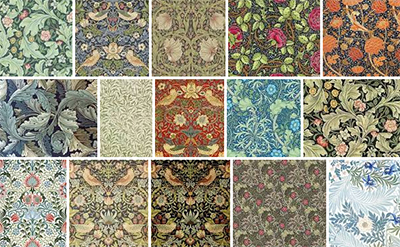 Morris & Co. - William Morris began designing wallpapers in the 1860s and is regarded as the greatest designer and one of the most outstanding figures of the Arts and Crafts Movement. In 1887 Queen Victoria commissioned Morris & Co. to design wallpaper for Balmoral Castle with the VRI cipher incorporated into the design. 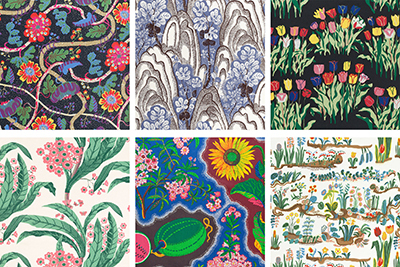 During his career, Morris designed 46 wallpapers and five ceiling papers, amassing to half the total patterns released by the company. These same designs are produced today by machine, using surface or ‘flexographic’ rollers and modern inks. Other designs, previously only found on textiles, have been translated into wallpaper, sometimes printed on Gravure machines to replicate the fine tonal textures and ‘watercolour’ effects found in Morris’s fabrics. 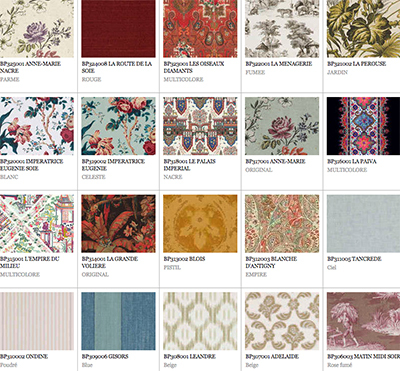 Mulberry Home Wallpapers - since 1991. "Renowned worldwide for its craftsmanship and quality." NINA CAMPBELL - since 1974. "Nina Campbell Luxury Wallpapers combine inspiration from Italy, France and England with a design palette which enables you to marry designs from different collections." 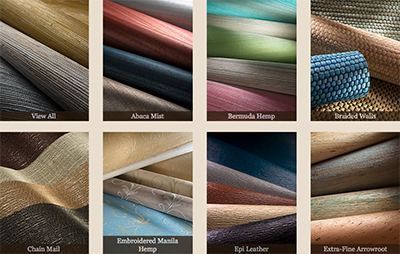 Nobilis Paris - "Manufacturer of Premium Wall Coverings." 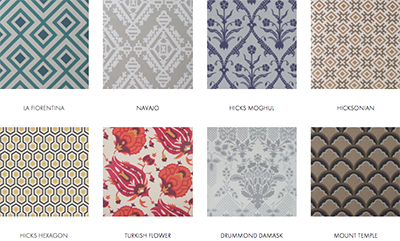 Nobilis has been creating exceptional fabrics, wallcoverings, furniture and rugs since 1928. OMEXCO WALLCOVERINGS - since 1976. "Exclusive wallcoverings." ORLA KIELY - since 1997. Renowned designer whose approach to simplify and stylise everyday motifs achieves a very modern style with a warm nostalgic quality. Osborne & Little - since 1968. 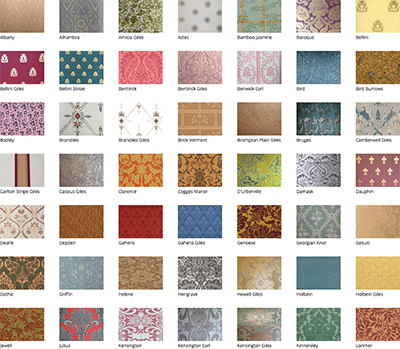 "Exquisite designer wallpapers and wallcoverings." 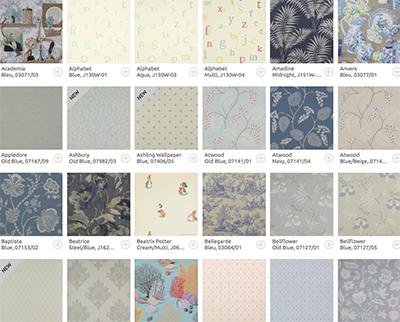 British manufacturer and retailer of upmarket wallpaper and fabrics. It was among the brands included in the Victoria and Albert Museum's British Design 1948–2012: Innovation in the Modern Age exhibition in 2012.
phillip jeffries - since 1976. "The World's Leader In Natural, Textured & Specialty Wallcoverings." Prime Walls - since 2007. International leader in the commercial wallcovering industry throughout North America, Asia, Europe and the Middle East. Princes & Crows - since 2008. "High end Wallpapers." Custom design by Alix Soubiran. Ralph Lauren Home - since 1967. "Wallcovering with luxurious texture and exquisite detail capture Ralph Lauren's most celebrated lifestyles." Roberto Cavalli Home - since 1970. Wallpaper collections. SANDERSON - since 1860. "Arthur Sanderson started his business in 1860 importing and selling wallpaper. 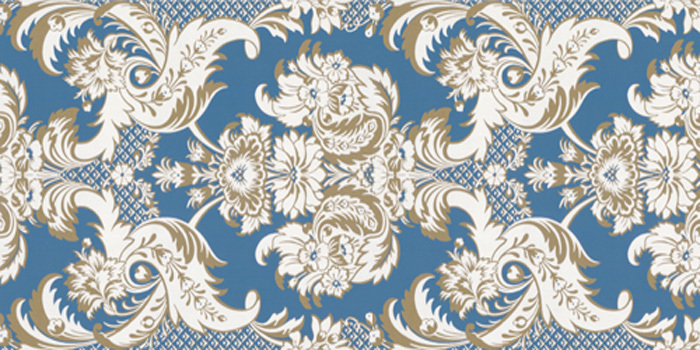 Throughout its long history, Sanderson has continued to produce wallpaper to suit the style of the times. The range today includes bold stylised florals, classic English chintzes, plain textures, smart stripes, trellises and small scale motifs which are printed in the UK." 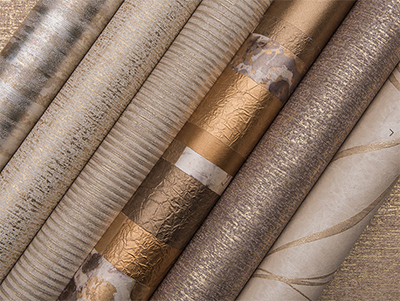 SAINT HONORÉ WALLCOVERINGS - founded in 1885. Since the beginning its mission was very clear: offer the market a wide assortment of high quality, design and innovative wallpaper. Scion - since 2012. "Scion is not just a publisher of wallpapers, it is the brand of modernity and revolution. His name means "descendant of a remarkable family", Scion is the successor of the famous British house Harlequin. Created in 2012 in Great Britain, Scion is inspired first by Scandi graphics for their modern design and full of freshness. Scion then began to create design wallpapers and soft and silky fabrics." STARK - since 1938. 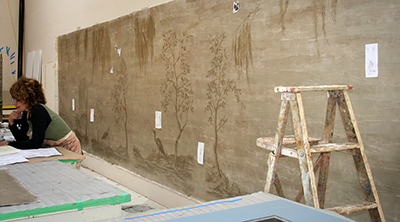 "Wallcovering & hand painted scenic mural." Sterling Studios - since 2003. "Specialist decorative arts company which offers clients an extensive collection of exquisite bespoke finishes all hand crafted in our workshop in London." Style Library - "A feature wall, a sophisticated backdrop or a work of art... We’re here to help you bring your walls to life with beautiful wallpaper. Thousands of colours, textures and patterns from six of the finest British brands are just a click away. Make yourself at home, order a few samples and we’ll guide you through the rest..." Style Library is now the official home for six of the best British brands: Zoffany, Harlequin, Sanderson, Morris & Co., Scion and Anthology. THE ART OF WALLPAPER - since 2005. "A quality British wallpaper manufacturer." Bespoke wallpaper. The Future Perfect - since 2003. 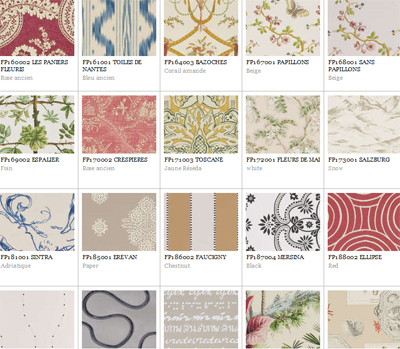 Calico, Callidus Guild, Merci, Piet Boon & Piet Hein Eek wallpapers. 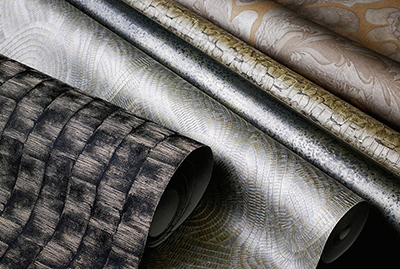 Threads - "Wallcoverings which epitomise glamour, style and cool sophistication; created to add an understated level of luxury and classic design to your home." timorous beasties - since 1990. Wallcoverings. Todhunter Earle Interiors - since 1988. Emily Todhunter Collection. TRACY KENDALL WALLPAPER - since 1996. 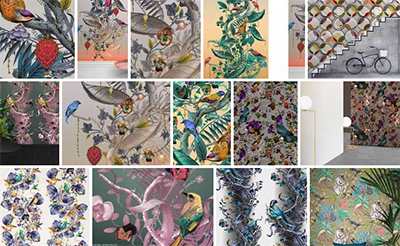 "Modern award winning wallpaper designer whose versatile portfolio of wallpapers sell around the world." WALL & DECÒ - since 2005. "Contemporary Wallpaper." Wallpaper Direct - since 1999. "The world’s widest choice." We’re delighted to bring you the widest choice of wallpapers direct from the studios of the world’s favourite wallpaper design houses. 16,133 products. Wallpaper from the 70s - since 2003. "Glamorous Wallpaper for irresistible luxury." Watts of Westminster - since 1874. "Bringing together traditional methods, an archive of historical designs, and a range of contemporary colours, our hand-blocked wallpapers are a sumptuous statement for any room. We use the original handmade pear wood blocks and rollers, rare and beautiful items in their own right, to produce our papers the traditional way." WELTER - since 1985. "At our manufacture in Berlin-Schöneberg we produce hand-made wallpaper and wall-panels, using a wide selection of materials. We offer own collections as well as custom-made products for each individual requirement." Zoffany - since 1983. "Luxury Wallpaper | High quality wallpapers based on historical references and using innovative techniques." The Zoffany wallpaper range comprises non woven (also known as ‘paste the wall’), traditional paper, embossed vinyl, holographic and foil substrates.